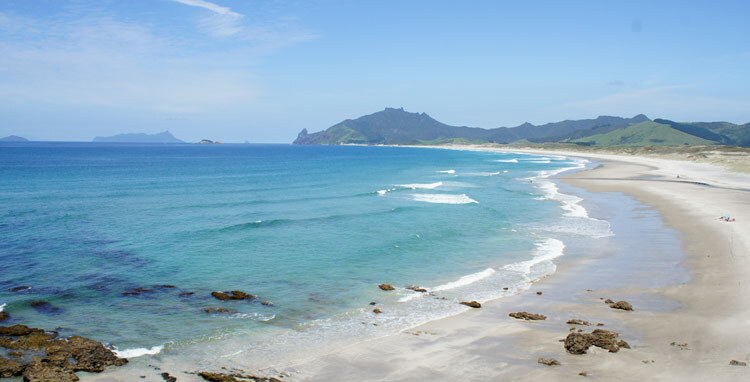 Ara Roa is centrally located on a truly stunning stretch of coastline. From 6 km of pure white sand at Ocean Beach (that you can often have to yourself) to the more intimate estuaries and rocky headlands, there are beaches certain to satisfy the most avid of beachcombers. 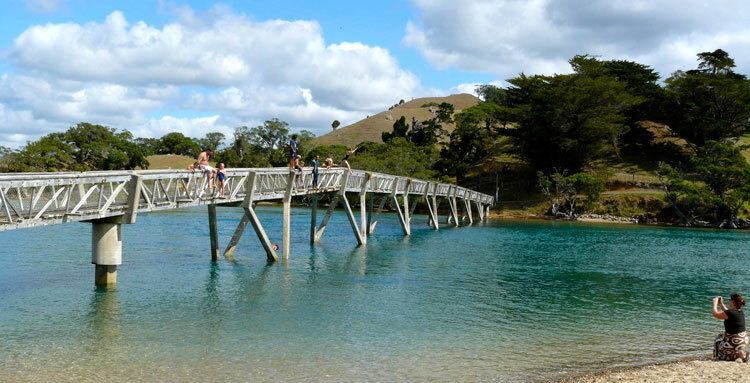 Combine beautiful beaches with Northland’s sub-tropical summer and you have an incredible natural playground. Clear and temperate waters can be enjoyed all summer and sometimes into autumn. Children (and parents) can have hours of fun playing in the surf – and boogie boarding is a favourite summer pastime. At Ocean Beach, there are Surf Lifesaving patrols over the summer months for safe swimming between the flags. If you enjoy walking along the beach, we have 6 km of white sand deserted beach for you to enjoy in our backyard. Ara Roa is located on Latitude 35 South. This is equivalent to Santa Barbara, North Carolina or the South of Spain. Jumping into the estuary at Pataua South for the brave!